Ahmed Ibrahim al-Haznawi (Arabic: احمد ابراهيم الحزناوي‎, Aḥmad Ibrāhīm al-Ḥaznāwī) (October 11, 1980 – September 11, 2001) was one of four hijackers of United Airlines Flight 93 as part of the September 11 attacks. He left his family to fight in Chechnya in 2000 but was probably sent to training camps in Afghanistan. It was there he was chosen to participate in the 9/11 attacks. He arrived in the United States in June 2001 under the direction of Al-Qaeda for terrorist attacks, on a tourist visa. Once he was in the U.S., he settled in Florida and helped plan out how the attacks would take place. On September 11, 2001, Haznawi boarded United Airlines Flight 93 and assisted in the hijacking of the plane, which crashed into a field in Shanksville, Pennsylvania, after a passenger uprising. Ahmed al-Haznawi was the son of a Saudi imam from the Al-Bahah province, a province in the south west of Saudi Arabia. Haznawi grew up in the village of Hazna, where his father was a cleric at the mosque in the central marketplace section of the village. Haznawi belonged to a family that was part of the larger, al-Ghamdi tribe, sharing the same tribal affiliation with fellow hijackers Saeed al-Ghamdi, Hamza al-Ghamdi, and Ahmed al-Ghamdi. He memorised the Quran, giving him the title Hafiz. This group is noted as being some of the more religiously observant of the hijackers, and they are thought to have met one another some time in 1999. Haznawi announced he was leaving his family in 1999 to fight in Chechnya, although his father forbade him. His father and brother, Abdul Rahman al-Haznawi, reportedly last heard from him in late 2000, after he made references to training in Afghanistan. On November 12, 2000, Haznawi applied for and received a two-year U.S. B-1/B-2 (tourist/business) visa in Jeddah, Saudi Arabia. From November 27, 2000, through December 27, 2000, Haznawi was in Saudi Arabia for Ramadan. It is theorized that during this trip, he may have initially told Saeed and Hamza al-Ghamdi about the operation. Some time late in 2000, Haznawi traveled to the United Arab Emirates, where he purchased traveler's cheques presumed to have been paid for by Mustafa al-Hawsawi. Five other hijackers also passed through the UAE and purchased travellers cheques, including Majed Moqed, Saeed al-Ghamdi, Hamza al-Ghamdi, Wail al-Shehri and Ahmed al-Nami. 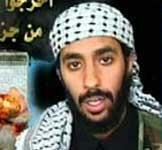 Haznawi appeared in an al-Qaeda video, pledging to give his life to martyrdom. He was one of four hijackers believed to be staying at a Kandahar guest house in March 2001, where they were seen by Mohammed Jabarah. Jabarah remembered Haznawi specifically, saying that he was "very devout and could recite the entire Koran from memory." On June 8, he arrived in Miami, Florida, with fellow hijacker Wail al-Shehri. He was one of 9 hijackers to open a SunTrust bank account with a cash deposit around June 2001. He is believed to have moved in with Ziad Jarrah, who got a new apartment on Bougainvilla Dr. in Lauderdale-by-the-Sea, after both men gave the landlord photocopies of their German passports, which he later turned over to the FBI. On June 25, Jarrah took Haznawi to Holy Cross Hospital in Fort Lauderdale on advice of his landlord Charles Lisa. Haznawi was treated by Dr. Christos Tsonas, who gave him antibiotics for a small gash on his left calf. While he told staff that he had bumped into a suitcase, the media briefly reported it as a sign of cutaneous anthrax and a possible link to the 2001 anthrax attacks, although FBI later addressed the rumors stating that "Exhaustive testing did not support that anthrax was present anywhere the hijackers had been." On July 10, Haznawi obtained a Florida driver's license, later obtaining another copy on September 7, 2001, by filling out a change-of-address form. Five other hijackers also received duplicate Florida licenses in 2001, and others had licenses from different states. Some have speculated that this was to allow multiple persons to use the same identity. Jarrah and Haznawi both received their one-way tickets for United Airlines Flight 93, on September 5. On September 7, all four Flight 93 hijackers flew from Fort Lauderdale to Newark International Airport aboard Spirit Airlines. On September 11, 2001, Haznawi arrived at Newark International Airport to board Flight 93. Although he was selected for additional security by CAPPS and screened, he was able to board the flight without incident, with only his checked bags requiring extra screening for explosives. Due to the flight's delay, the pilot and crew were notified of the previous hijackings that day and were told to be on the alert. Within minutes, Flight 93 was hijacked as well. At least two of the cellphone calls made by passengers indicate that all the hijackers they saw were wearing red bandanas, which some believe may have signified an allegiance to the Egyptian Islamic Jihad. The calls also indicated that one of the men had tied a box around his torso, and claimed there was a bomb inside – it is not known which hijacker this was. Some passengers expressed doubt that the bomb was real. Passengers on the plane heard through phone calls the fates of the other hijacked planes. A passenger uprising soon took place. Hijacker-pilot, Ziad Jarrah, crashed the plane into an empty field near Shanksville, Pennsylvania, in order to prevent the passengers from gaining control of the plane. The crash killed everyone on board. After the attacks, before the release of the FBI pictures of the hijackers, Arab News reported that Haznawi's brother Abdul Rahman had told al-Madinah newspaper that a photograph published by local newspapers bore no resemblance to his brother. A videotape titled "The Wills of the New York and Washington Battle Martyrs" was aired on Al Jazeera on April 16, 2002. While the name beneath the speaker read al-Ghamdi, the image is of Haznawi speaking. Officials suggested that the name was merely a reference to his tribal affiliation. The film was thought to have been made in March 2001. In it, he talked about his plans to bring the "bloodied message" to America. In September 2002, a similar tape made by Abdulaziz al-Omari appeared. He has been portrayed by actors Omar Berdouni in United 93, and Zak Santiago in Flight 93. ^ "Driving a Wedge - Bin Laden, the US and Saudi Arabia (Part 1)". The Boston Globe. 2002-03-03. ^ Bell, Stewart. "The Martyr's Oath", 2005. ^ a b Borger, Julian (April 16, 2002). "Chilling, defiant: the video suicide message of a September 11 killer". The Guardian. London. Retrieved April 23, 2010. ^ "Staff Monograph on 9/11 and Terrorist Travel" (PDF). 9/11 Commission. 2004. Archived (PDF) from the original on 2004-09-23. Retrieved 2009-05-15. ^ Ressa, Maria (2 December 2003). Seeds of Terror: An Eyewitness Account of Al-Qaeda's Newest Center of Operations in Southeast Asia. Free Press. p. 165. ISBN 9780743251334. Archived from the original on 2018-12-07. Retrieved 2018-12-07. ^ Viglucci, Andres; García, Manny (19 October 2001). "Hijack plotters used S. Florida as a cradle for conspiracy". Miami Herald. Archived from the original on October 19, 2001. Retrieved 16 January 2012. ^ Fainaru, Steve; Connolly, Ceci (March 29, 2002). "Memo on Florida Case Roils Anthrax Probe". Washington Post. Archived from the original on 2018-12-07. Retrieved 7 December 2018 – via School of Public Health, UCLA. ^ "Report raises question of anthrax, hijacker link". CNN. Time Warner Company. March 23, 2002. Archived from the original on 2012-10-15. Retrieved April 23, 2010. ^ Lipka, Mitch (4 June 2004). "Multiple identities of hijack suspects confound FBI: South Florida Sun-Sentinel". Sun Sentinel. Archived from the original on June 4, 2004. Retrieved 6 January 2012. ^ "Statement of Robert S. Mueller: Joint Investigation Into September 11". Fas.org. September 26, 2002. Archived from the original on 2012-01-03. Retrieved 6 January 2012. ^ "The Aviation Security System and the 9/11 Attacks - Staff Statement No. 3" (PDF). 9/11 Commission. Archived (PDF) from the original on 2008-05-28. Retrieved 2006-10-30. ^ Khashoggi, Jamal; Al-Nayyef, Badr (October 1, 2001). "Hanjour family denies Hani's involvement in crime". Arab News. Archived from the original on 30 September 2007. Retrieved 7 December 2018. This page was last edited on 21 March 2019, at 11:55 (UTC).